The ASEAN integration augurs well to prepared Filipino Companies. As collaboration between ASEAN companies become a commonplace, Filipino small and medium enterprises (SMEs) is poised to benefit from this set-up. However, the belief that “build and they will come” set-up that many Philippine SME companies hold may not jive with the opportunities that the ASEAN Integration offers. Marketing and Promotion of these companies at the same time working hard to find the right partners are the keys to realize the benefit of this economic set-up. 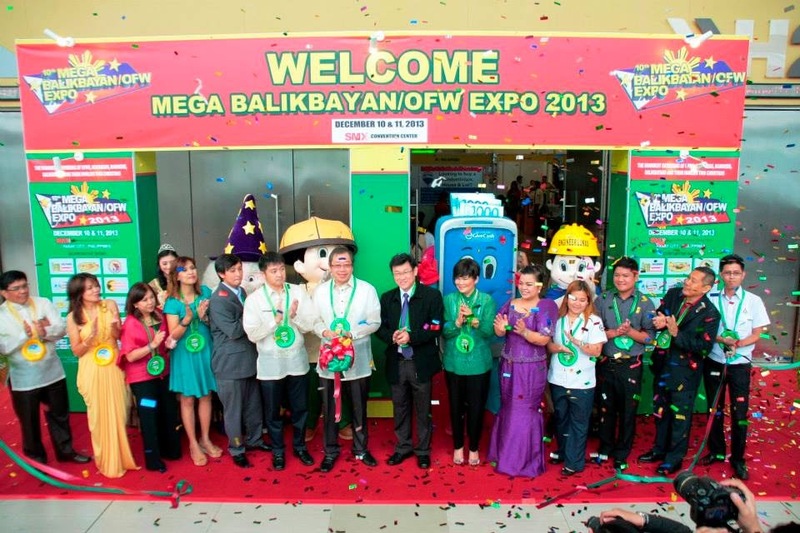 The 11th Megabalikbayan OFW Expo (MBOX) set this December 18-20, 2014 at SMX Convention Center is a longest running business expo targeting the OFWs and Balikbayans and encouraging them to go into business. SME companies that want to find their portfolio attractive to ASEAN SME neighbors must tap this big market. The 11th Megabalikbayan OFW Expo (MBOX) showcases the following companies: Franchising, Dealership and Distribution, Health and Beauty, Bank and Finance, Technology and Transportation. In addition, 11th Megabalikbayan OFW Expo (MBOX) is an event offered back-to-back with the 2nd International Travel Festival (ITF), an event that offers travel sales and incentives from different participating tour operators, hotels, resorts and venues. National Association of Independent Travel Agencies (NAITAS), the largest travel agency association in the country supports the 2nd International Travel Festival. In addition, NAITAS general meeting will be held during ITF. The Department of Tourism Region 4 sponsors the 2nd International Travel Festival (ITF). Other highlights of the 11th Megabalikbayan OFW Expo (MBOX) are the 6th Outstanding OFW and Balikbayan Reputation Award (OBRA). OBRA is a recognition event that recognize the following: Outstanding OFW and Balikbayan Entrepreneurs, Outstanding OFW and Balikbayan Community Builders, Outstanding OFW and Balikbayan Family Builders, Outstanding OFW and Balibayan Work Ethics, Outstanding OFW and Balikbayan Positive Character | Deeds, and Outstanding OFW and Balikbayan Blogger for OFW. Also, the 2nd OFW SME Business Summit will be held this event aims to give free knowledge and inspire OFWs and Balikbayan to become entrepreneurs and enter the rewarding world of business. The 2nd OFW SME Business Summit is being offered for free to OFWs and Balikbayan. The conference will cover entrepreneurship, financial literacy, and franchising. Villar SIPAG, Pag-IBIG Fund, Philhealth Inc., Sun Cellular, LBC,, Toyota Cubao, IPAMI, and Ford Global sponsor the 11th MegaBalikbayan OFW Expo. Lastly, an OFW Grand Noche Buena Gathering will end the event. This event is a salo-salo between invited OFW and OFW Families. Business World, Business Mirror, Malaya Business Insight, Money Sense, Asian Journal Publication/ Balikbayan Magazine, Franchising PH, Voice of the Youth Radio (VOTY), DZME 1530, Sweetday Radio, Home Radio 97.9 Natural! Asenso Pinoy, Light Network, Inventiv Media, Rappler.com, WhenInManila.com, Wazzup Pilipinas, JobMatch.Pro, MyRegalo.com, Commuter Express and Busy Bee are the media supporters of the event. For more information, visit www.megabalikbayanofwexpo.com.ph or call tel. No. 643-3887.